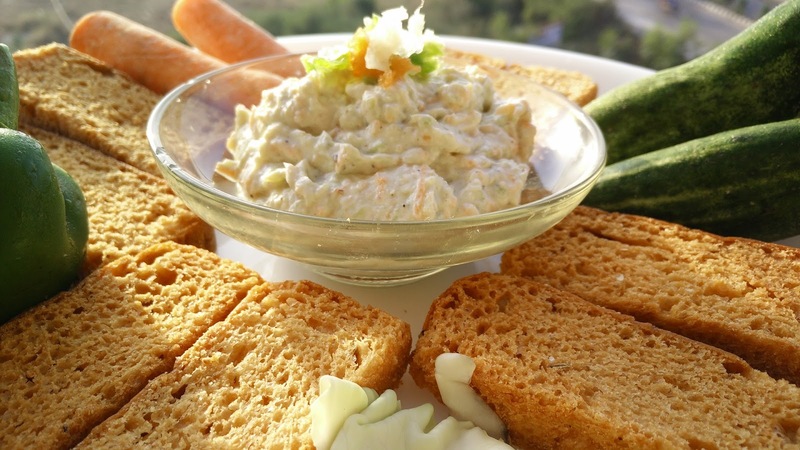 Vegetable dip is the easiest recipe which can be prepared by all ages, be it kid or elders. It requires one very important ingredient i.e. hung curd and then you can mix any vegetable into it. Vegetable dip goes with garlic bread, nachos, chips, rusk, or even Indian papad. Mix all ingredients well and store it in refrigerator. Spread on garlic bread, or serve with chips or rusk.